The social enterprise provides financial opportunity and living skills of sewing. As the saying goes, when life gives you lemons, make lemonade. When Selena Ahmad (better known as Sally) was thrown a curveball, not only did she make the best of a less-than-ideal situation, she decided to help others while she was at it. Sally, who was then recently divorced with two children, quickly realised the urgent need to find a sustainable source of income while caring for her young ones. What she also found was that there were many other single mothers in the Sungai Udang community in Klang, where she lives, who were facing similar challenges. Aimed at making a difference in all their lives, 2nd Chance, as the model was initially called, was born. But Sally had no sewing experience or knowledge and classes were too expensive. So she took to YouTube to learn how to sew and fell in love with repurposing pre-loved denim when she came across it. She knew immediately that that would be her business idea and began recruiting other single mothers and creating more designs by tutoring them for free. “YouTube did not charge me to learn this skill so why should I charge them?” she says. She says one of the social enterprise’s initiatives involves grooming sessions for the women to build their confidence and self-esteem. “We do not operate as a charity. 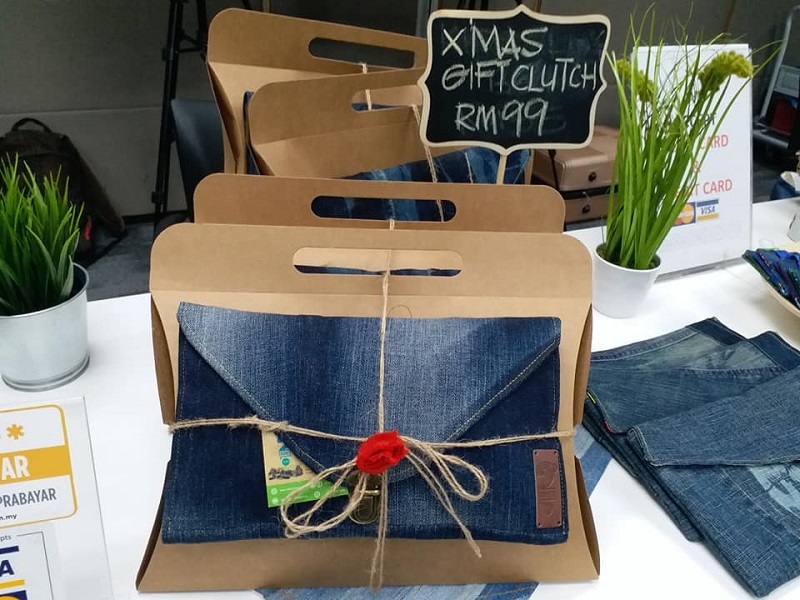 We are a business that makes a profit but, at the same time, impacts a community that really needs our help,” says Sally, who took part in the Malaysian Global Innovation & Creativity Centre (MaGic) accelerator programme in 2016, the year the social enterprise was founded. With the support of HLB Jumpstart, the corporate social responsibility platform of Hong Leong Bank Bhd, the social enterprise founded by Sally was renamed Suri, the result of a collaboration with advertising agency Naga DDB Tribal. 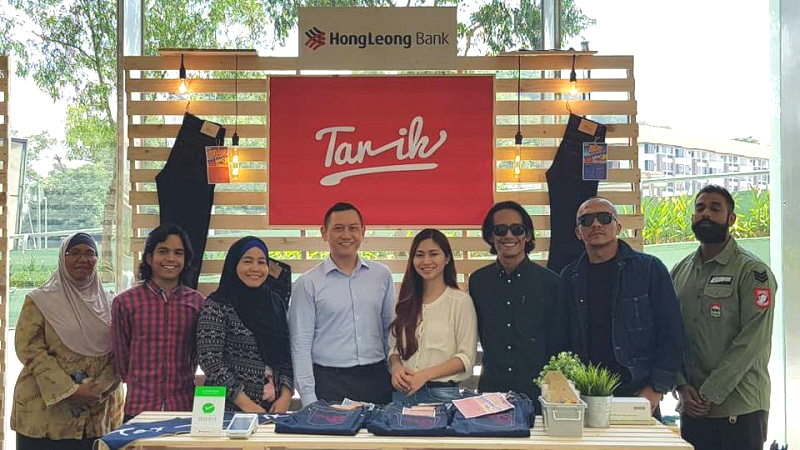 In addition to inventory management assistance and credit card capabilities added into its current system, a partnership with streetwear brand, Tarik Jeans, helped refresh the product line, which includes a range of bags, clutches, laptop and pencil cases and multi-size pouches. The crux and spirit of the social enterprise, however, remains unchanged from Sally’s initial vision. Besides aspiring to raise their household income to above RM1,500 a month, Suri strives to erase the mindset of simply giving out charitable offerings to single mothers by gearing towards supporting an income-based plan instead. “My goal is to not only help single mothers in Klang but those in other communities as well,” says Sally about her dream to empower more women by scaling up operations — starting with a larger sewing centre. Suri operates out of her home, where seamstresses can bring their children along when they come to work. The founder’s expansion plan is executed in part through knowledge-sharing with other non-governmental organisations by providing training for their beneficiaries. To expand the source of income of other single mothers, Sally and her cohorts took a course and graduated with an SKM Level 3 certificate in Bidang Jahitan Kreatif, which allows them to train others. From an environmental point of view, Suri is saving denim that would otherwise have found its way into already overflowing landfills. All the materials used to create the pieces come from public contributions — a recent drive collected 500kg of denim. As far as textile waste goes, denim is notorious for being unsustainable, from the excessive amount of water required in manufacturing the material to the extended time taken for it to biodegrade (depending on its fibre content). In building a sustainable source of income, Sally and her team of 10 seamstresses are also tackling the issue of textile waste through the pretty repurposed products they create. Click here to purchase products by Suri Lifestyle. Suri products are also stocked at Xplorasi gift shop at Petrosains, KLCC. This article first appeared on Jan 21, 2019 in The Edge Malaysia.